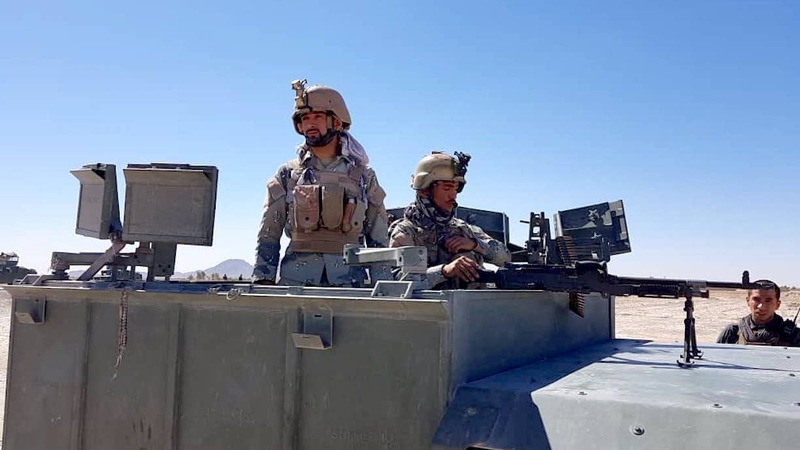 HERAT -- Afghanistan's National Defence and Security Forces (ANDSF), backed by aerial support from the coalition forces, are stepping up operations against Taliban militants in Farah Province. The joint forces have made "great progress" in the operations, launched November 17, said Gen. Nurullah Qaderi, commander of the 207th Zafar Corps of the Afghan National Army (ANA). "These operations are under way in various parts of Farah Province," he told Salaam Times November 24. "The Special Forces from the ANA, the Afghan National Police (ANP), the National Directorate of Security (NDS) and NATO's Resolute Support Mission have participated in these operations in full co-ordination with each other." "Our security forces have made great progress in various regions," Qaderi explained. "The Taliban have suffered severe blows in Farah Province," he said. "In addition to the provincial capital, we have cleared other areas such as Highway 517 and the Pusht Rod and Khak-e-Safid districts of the Taliban." "In a joint clearing operation, troops cleared the villages of Ganhakan and Barangut and the suburbs of Farah city, and security prevails there," he noted. "Through [ANA] commando operations in Deewar-e-Surkh, Khak-e-Safid District, and in the Naw Bahar area of Pusht Rod District ... as well as air strikes targeting the Saaj area of Pusht Rod by the Afghan Air Force, our troops destroyed nine enemy weapons and two communication devices and killed nine enemy insurgents," he said. "Moreover, air strikes carried out by the Afghan Air Force ... in Gajgin village of Pusht Rod District wounded three militants and destroyed six weapons," Qaderi added. "Similarly, a commando operation in Naw Bahar village of Pusht Rod killed one hostile and destroyed one vehicle and two weapons." NATO air support has played a key role in defeating the Taliban in Farah Province, officials say. On November 24, Gen. Austin Scott Miller, the commander of NATO's Resolute Support Mission and US Forces in Afghanistan, visited Farah Province and conferred with local security leaders, reiterating that coalition forces would continue to support the ANDSF in its fight against militants. "Resolute Support absolutely backs peaceful negotiations. We support a political settlement. But at the same time we'll fight," Miller said. "We have taken practical steps to address all the needs that we face in Farah," Farah provincial police chief Gen. Rahmatullah Sediqi told Salaam Times. "Fortunately, we enjoy the aerial support of both Afghan and Resolute Support forces in these operations, as a result of which we have had good successes and achievements," he said. "The enemy is not capable of facing our forces, and we have thoroughly searched and cleared many areas." "[Afghan military] units are moving forward, and they have established more checkpoints," the provincial governor of Farah, Mohammad Shoaib Sabet, told Salaam Times November 16. "In addition, more forces from the ANA and the ANP have arrived in Farah, and we have received more military equipment." "Over the next few days, special forces from the NDS, as well as commando forces, will arrive in Farah Province," he noted, referring to a deployment that occurred November 22. "I can say with certainty that the situation in Farah is improving every day, and fortunately our security forces are leading the war." 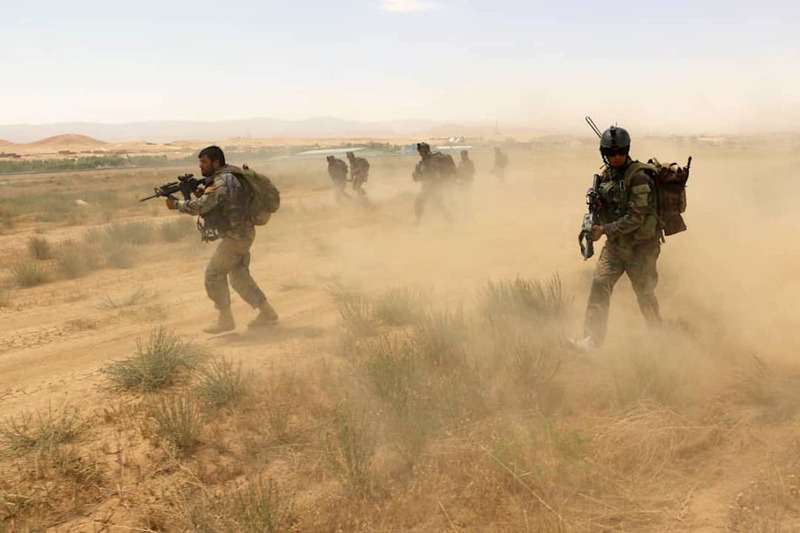 The uptick in Afghan and coalition operations against the Taliban militants comes in the wake of a series of attacks and attempted militant hostilities in Farah city and other parts of the province. On November 11, the Taliban captured a number of security forces' positions on the outskirts of the provincial capital, briefly taking control of parts of the city before troops beat them back. "According to the statistics that I have recorded, 49 hostile forces were killed and 53 others were injured last week," Col. Zakaria Mirzazada, an ANA commander in Farah Province, told Salaam Times November 16. "The enemy forces have fled from most areas, and their dead bodies remained on the battlefield for two days," he said, adding that some of the dead reportedly included foreign nationals. "The clearing operation is under way with the objective of ... expelling the savage enemies of Afghanistan who have emerged in Farah following the orders they receive from their masters and regional intelligence agencies," said Mirwais Andarabi, the director of intelligence at Farah provincial police headquarters. 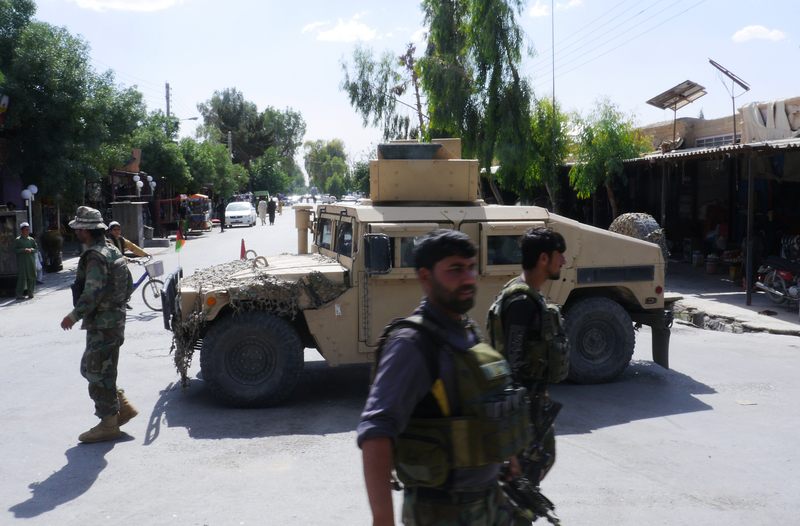 "[The Taliban] harass civilians in Farah, causing much confusion and chaos among the locals," he told Salaam Times. "This operation will continue until we completely expel those savage enemies from the province," he said. "The joint forces of the ANA, the ANP and the NDS, especially the commando forces, have contributed to this operation." "We have been assigned by our officers in Farah to conduct certain missions, and that is precisely what we are doing," ANA commando Noor Ali told Salaam Times. "Commando forces will continue to pursue hostile forces wherever they have infiltrated until we have destroyed all their hideouts." "We, the Afghan commandos, are ready to provide civilians with security in each and every location, so that their children can easily pursue their education," Mohammad Ashraf, another commando, told Salaam Times. "The sworn enemies of the Afghan people will be defeated," he added. "The war in Afghanistan is not a civil war," said Mirzazada, the ANA commander. "A country on the borders of Farah is behind the current situation," he said, referring to the border Afghanistan shares with Iran. "Every country is seeking its own interests, mainly because of the Bakhshabad Dam but also other in sectors." The construction of Bakhshabad Dam in Farah has been delayed for years because Iran is supporting and equipping the Taliban in order to prevent the dam's construction, according to local authorities. The Farah provincial governor also pointed a finger at Iran, saying in an interview with the Voice of America October 25 that Tehran is behind the increased insecurity in western Afghanistan. "The issue is the construction of Bakhshabad Dam, which is problematic for Iran," Sabet said. "It does not want the dam. It has intensified the fighting every time we resumed construction." "Iran has even provided equipment and night vision scopes to the Taliban militants," he noted. "Farah was one of the provinces where intense fighting took place in recent days, and a large number of enemy forces have come here from several other provinces in an attempt to capture the city of Farah but to no avail," Sabet continued. "The ANDSF fought and will fight against them with courage." "Farah will never fall," he added. The operations have killed dozens of Taliban members and have cleared more than 30 villages of insurgents.